I couldn't agree with you more. 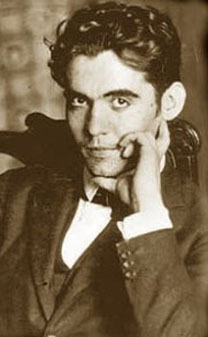 And I love Lorca's standing poems for their violence and sensitivity. When done right (Alba, Blood Wedding, Yerma - you name it), they make something within stand up and roar. On a sidenote, I had an acting teacher once tell me that when I was onstage I was representing humanity. I've never quite "stood" on stage the same way again.